Here are some recent pics from our latest photo shoot. 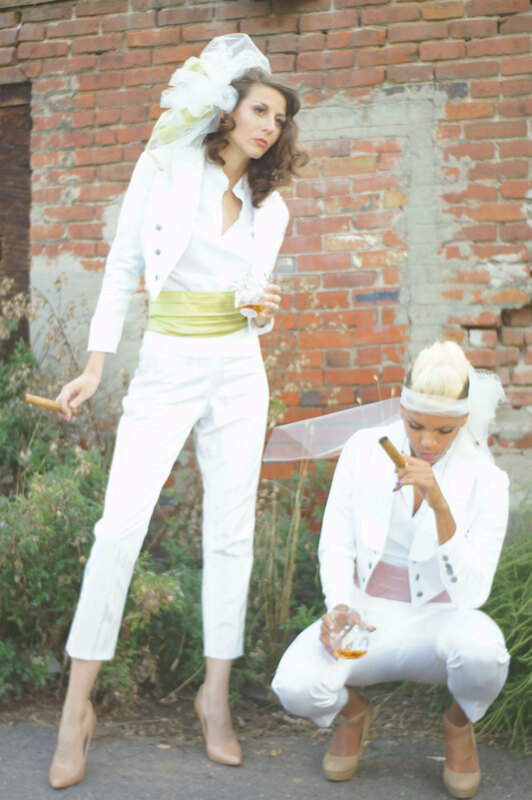 We wanted to design a perfect women’s tuxedo—that looked good on every body type—-and this is the result. 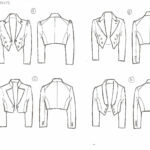 The cropped jackets end at the narrowest part of the waist—and we tailor each jacket individually to get this just right for each individual client. The cummerbunds (which can be made with or without pleats) are fully-boned like a corset to gently shape the body and smooth out the silhouette. Finally, the higher waisted pants with the cropped jacket shape lengthens the body and the legs. We can do many different fits and leg shapes for the pant—wide leg and bootcut pants look great with this style as well. 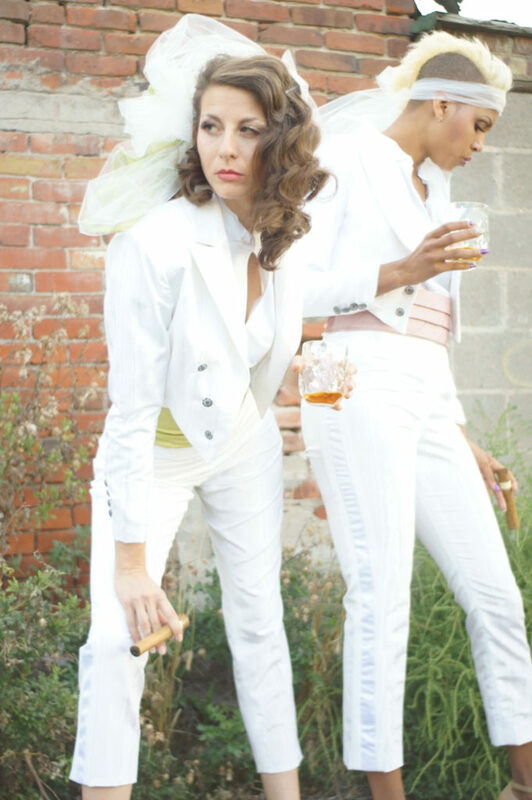 The version pictured is an ultra slim pant with a tuxedo stripe and a cropped length. 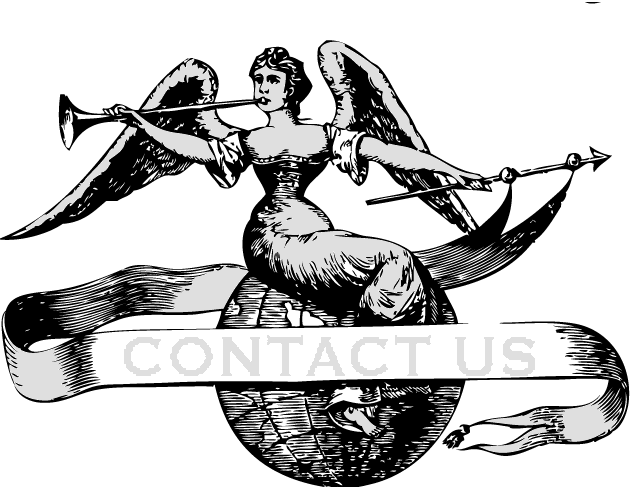 As with each of our designs, you can adjust any detail. 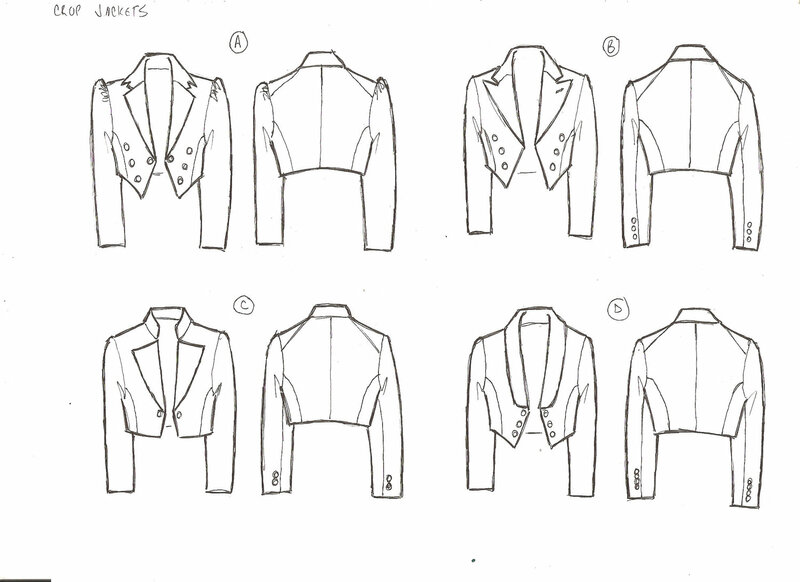 Change the collar shape—the shape of the points—the buttons. We offer these pieces in hundreds of fabrics as well. So we are sure to have a fabric that you like. 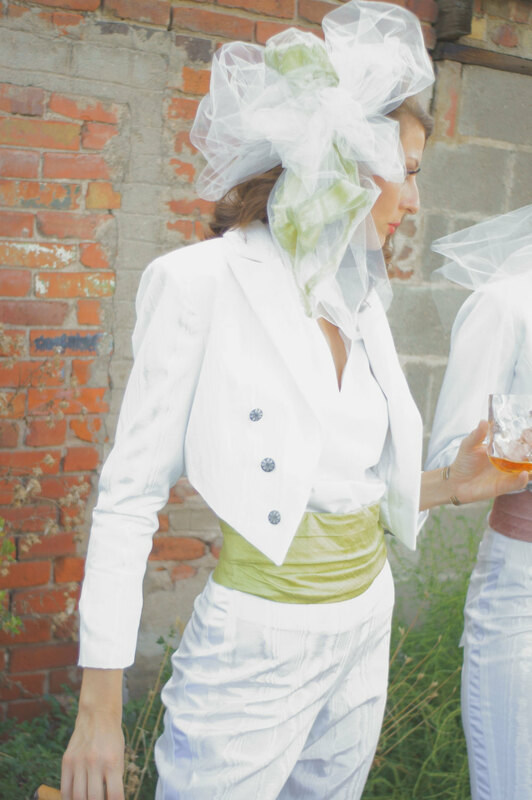 Right now the white tuxedo jackets are pictured in a cotton blend moire that has a gorgeous and complicated matte sheen to it. 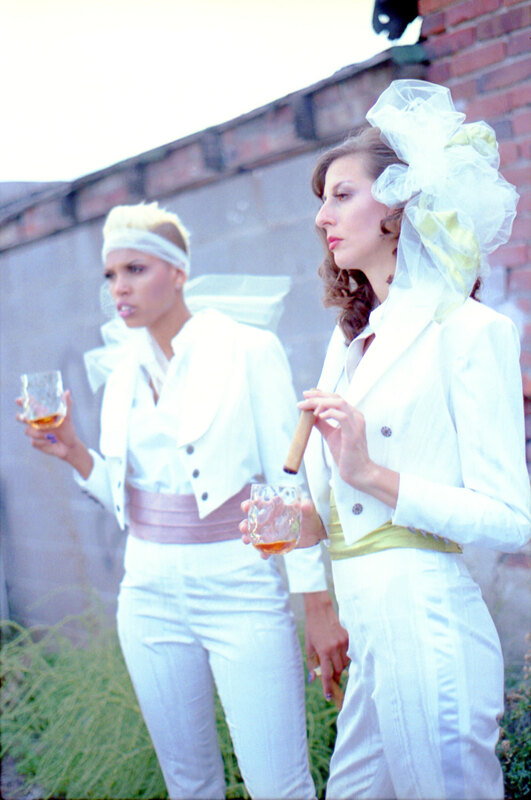 Making attire for lesbian weddings is a major focus for our business. We also own the men’s tailoring shop Denver Bespoke, and over the years we have learned the best techniques for adapting men’s hand-tailoring methods to fit a woman’s body. Just contact us via email so that we can start designing something for you (superhero@vigilantelabs.com). Or check out our Etsy shop to see many many more recent designs and to check our pricing. Using our Muslin Fitting Method, we first mail you a mock-up cut from cotton and have you send us digital pics. This means that we can get an amazing fit for you even if you live across the globe.